Check out this very cute Female Nigerian Police officer who has gone viral after a picture of her was shared online. 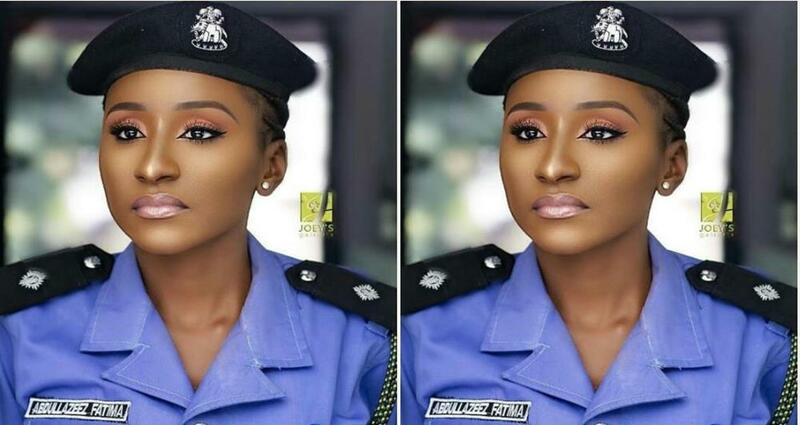 Some Nigerian men are begging this beautiful female police officer to arrest them after she uploaded this pretty photo on social media. This is a Hausa police officer named Abdulazeez Fatima is currently setting Instagram on fire. The young woman exudes a flawless and natural black beauty.